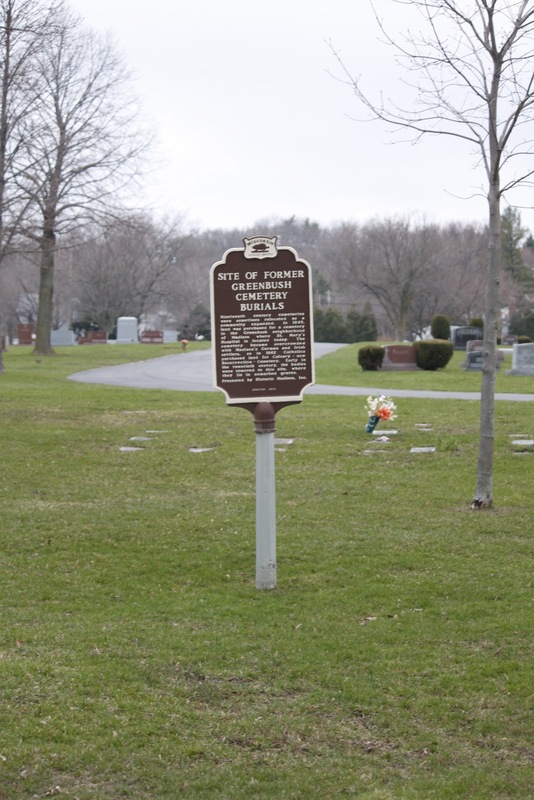 Nineteenth century cemeteries were sometimes relocated as a community expanded. 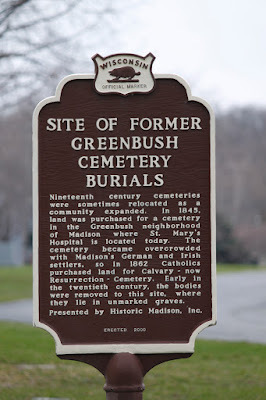 In 1845, land was purchased for a cemetery in the Greenbush neighborhood of Madison where St. Marys Hospital is located today. The cemetery became overcrowded with Madison's German and Irish settlers, so in 1862 Catholics purchased land for Calvary -- now Resurrection -- cemetery. Early in the twentieth century the bodies were removed to this site where they lie in unmarked graves. 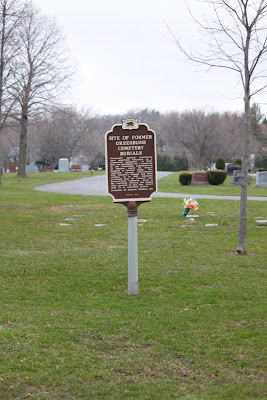 The marker is located in Resurrection Cemetery on westbound Speedway Road, east of its intersection with Hillcrest Drive, Madison, Wisconsin 53705. "The neighborhood that Madison destroyed lives on -- in people's hearts and minds"